"It was as though he were telling a story with his hands." "One of the best musical conductors to appear in Latin America"
"The ever-smiling and extremely animated (Stanichar) guided the Everett Symphony through a superb performance filled with wit and charm...It was the kind of charismatic interaction with the audience and orchestra that showed the brilliance of Stanichar's directorial methods." Stanichar celebrates his sixth season as Principal Conductor of the Northwest Iowa Symphony Orchestra, an ensemble of some of the finest musicians from Iowa and South Dakota. He was appointed to this position in 2011, following a number of guest appearances. He continues NISO’s tradition of artistic excellence, innovative programming, and collaborations with international guest artists. Stanichar leads NISO in several concerts per season, in addition to the annual Concert for Children, where the orchestra plays for over 1100 school children from the area. He is also the conductor of the Worthington Area Symphony Orchestra in Southwest Minnesota (since 2010), which is a recipient of several regional grants, and was broadcast regionally this past December in a Holiday special with the native American band, Brulé. Stanichar is also a dedicated educator, and is the founder and first Music Director of the South Dakota Symphony Youth Orchestra, and the current conductor of the Northwest Iowa Symphony Youth Orchestra (since 2016). 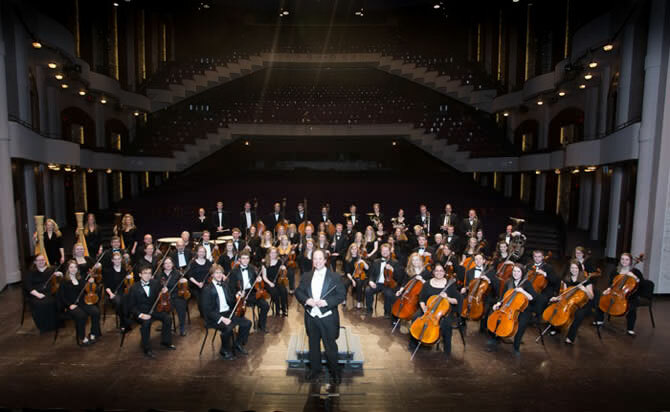 Stanichar has conducted professional orchestras in Europe, Russia, Mexico, and the United States, including St. Petersburg Symphony Orchestra (Russia), Sochi Symphony Orchestra (Russia), Orquesta Sinfónico Juvenil del Estado de Veracruz (Mexico), and many orchestras throughout the United States. Stanichar earned his Doctorate of Musical Arts in conducting at the Cincinnati College-Conservatory of Music, where he was a student of Gerhard Samuel. He has also taken master classes with Ilya Musin, Daniel Lewis, Gerard Schwartz, Ken Keisler, and Bystrík Režucha, among others. In 1996 Stanichar was awarded a Fulbright scholarship to study conducting in Slovakia, where he appeared as a guest conductor of many top orchestras in that country. He is the former Conducting Assistant for the Cincinnati Symphony Orchestra and Cincinnati Pops, where he was mentored by maestros Jesús López-Cobos and Erich Kunzel. Stanichar is an active composer and his works have been commissioned and performed throughout the world. You may have heard his original work, Trisagion that was used in the Ric Burns’ PBS documentary, Andy Warhol. More recent projects include a full-length cantata, St. Mark Passion, written for the 150th anniversary of Augustana University as part of a Granskou grant. He also composed Pink Ribbon for Susan for clarinetist Christopher Hill in honor of his wife Susan who fought a courageous battle with stage 4 cancer. 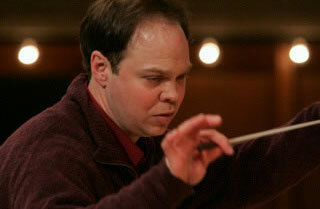 TrevCo-Varner Music publishes several of his works for English horn. His composition, Tales of Hans Christian Anderson, is the first concerto for nyckelharpa, a Swedish folk instrument, which premiered with the Hastings Symphony Orchestra in Nebraska, and the work was nominated for a Pulitzer Prize in 2014. In his free time, Christopher’s interests outside of music include Russian icons, foreign languages, biking, and he is an avid pinball player. The most important thing to Christopher is his family, and his children are active in music.